People are just not willing to pay for music anymore. According to IFPI (International Federation of the Phonographic Industry), recorded music revenue peaked at $38bn worldwide in 1999, collapsed down to $16 billion (2011), edged up somewhat the year after, only to fall back down again to $15bn last year (2013).Total recorded music industry revenues in 2013 were less than half of their 1999 peak. Less artists are getting record deals, labels don't have as many resources to promote artists, and most artists don't earn nearly what they used to. Although the most successful artists still live lives of luxury, the music industry doesn't have the same glamourous, rockstar perception that it once did. Total recorded music industry revenues in 2013 were less than half of their 1999 peak. Less artists are getting record deals, labels don't have as many resources to promote artists, and most artists don't earn nearly what they used to. Although the most successful artists still live lives of luxury, the music industry doesn't have the same glamourous, rockstar perception that it once did. There is no doubt that piracy has had a big contribution to the decline of music sales. However, the movie industry has the same piracy problems and is booming with expected growth. According to PWC, filmed entertainment revenue is expected to grow from $88bn in 2013 to $110bn by 2018. Yes, it can be argued that people are more willing to pay for movies because of the type of content it is and that less movies are produced each year than music releases, but the point is that the industry is both booming and growing. Additionally, according to an Ofcom report, those who illegally acquire content are the ones who actually spend more money on legal downloads! The ones who are "stealing" music are the ones who are actaully paying more for it as your best customers. Still, the fact that music piracy is so prominent does contribute to lackluster revenues, however, if someone didn't pirate certain music, it doesn't necessarily mean they would have paid for it instead. It most likely means they never would have heard it. We've reached a point that people expect music to be free. There are lawsuits and complaints around the level of royalties that streaming services such as Pandora and on demand services such as Spotify pay out to rights holders. The streaming services seem like an easy target as it's the primary source for music consumption, but most of these services already pay so much in expenses that they are unprofitable! The main thing that is overlooked is that at the end of the day, the money for music comes from the consumer. All You need to do is follow the money. When music industry revenues were sky high, it was because consumers were willing to pay for it. Now, the same consumers who used to shell out $13 for an album or even $1 for an iTunes song download aren't even willing to pay the $10 a month for a Spotify premium account to access 25 million songs played on demand! So to save the music industry, the question is what is going to get the consumer to be willing to actaully pay for music again? When you take into account the way that content is consumed now, what do artists expect? Streaming/on demand services may be blamed for not paying enough royalties, but no one is forcing artists to put their songs on Spotify. It's just how the market now listens to music. If an artist could sell their music without the streaming services, they are more than welcome to. The streaming services are often looked at as the enemy, but they are the ones delivering the music to the consumers. Many artists are more than happy to have their songs get airplay for free on terrestrial radio, but AM/FM radio stations only need an ASCAP/BMI/SESAC license to play music, meaning they only need to pay performance royalties to the song writers, not mechanical royalties to the record labels/recording artists. In fact, most record labels give their music away for free to the terrestrial radio stations as promotion! In addition, terrestrial radio is potentially playing a song to millions of listeners compared to streaming radio which plays a single stream to a single listener. Airplay on terrestrial radio reaches a lot more ears. There is a key difference between "streaming" radio and "on demand" radio. Streaming radio includes services such as Pandora where you set a radio station that plays music and you can not choose to play a song. On demand services such as Spotify allow you to actually choose which songs you want to play. 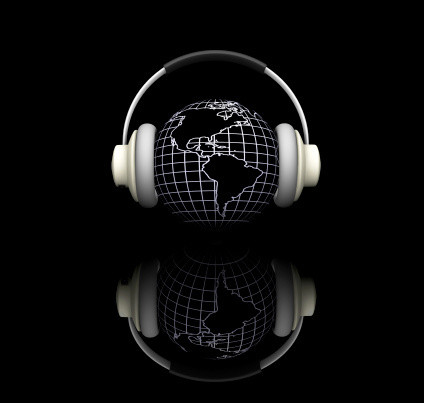 So why is streaming "internet" radio perceived as any different than terrestrial radio? It is just the new way that people listen to the radio in the digital age. According to the infographic, Spotify, which is a typical reference point for most artists, pays an average of $0.003 per stream which equtes to 330 streams being equal to one $0.99 download. However, on Spotify's website, they claim the spread is $0.006 to $0.0084 for an average of $0.0072 or 137 streams per $0.99. Spotify also does not pay on a per stream basis. Their formula takes into account their monthly subscription revenues and an artist's overall popularity. 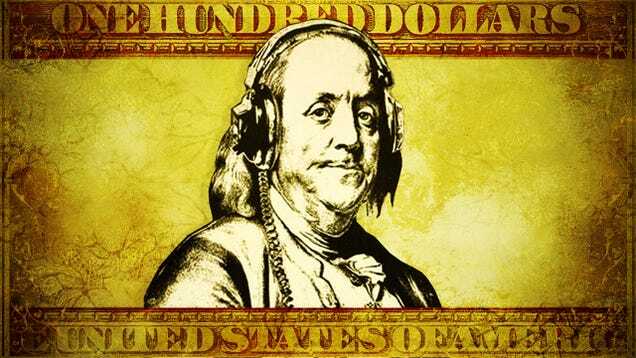 If someone was to purchase the song for $0.99, would they listen to it at least 456 times? 330 times? 137 times? Also keep in mind that artists do not receive the full $0.99 from a download. Let's compare the numbers in a sense of RPMs, or revenue per 1,000 impressions, a common metric used across the digital advertising industry. According to the infographic, RPMs earn artists an average of $2.17 and are as high as $8.10 to $10 on Deezer and Rdio, respectively. On Spotify, RPMs are, on average, as high as $7.20 according to their website. The table below, from Monetize Pros, shows that average CPMs/RPMs for typical digital impressions range between $2.80 and $3.00 from data collected as of January, 2014. So by comparison, music doesn't have the lowest RPMs for digital impressions and is right in line with industry standards. In the end, however, the market dictates prices and allocates recources. The growing trend shows that people are clearly looking to "rent" or "subscribe" to music over buying it. Simple supply and demand economics can be used to help look at the situation as well. 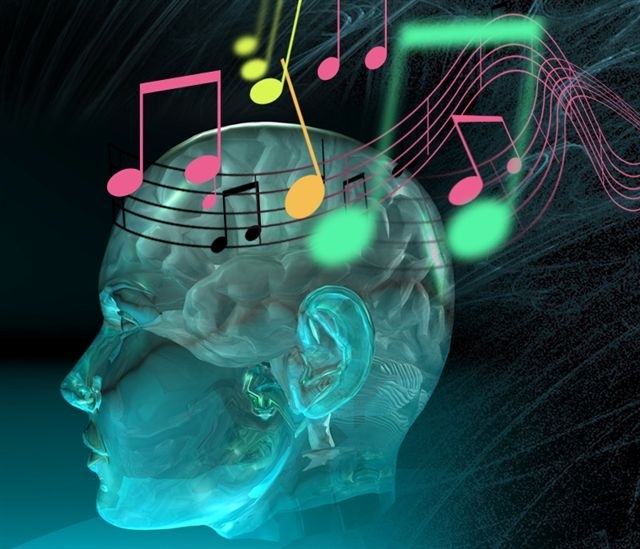 Because of the ability for artists and musicians to upload their music to any digital medium and market themselves virally, there is the highest supply of music readily available than ever before. Economics tells us that as supply increses, price decreases. The internet allows any artist to get their music out there, but as a result, there is a huge amount of supply, so the competition of so much music forces prices lower. Now this isn't necessarily a bad thing. If an artist creates great music and markets themselves, they will still get a great fan base, and ultimately get paid very well. The internet allows artists with truly great music to reach enough fans so that they will be able to sustain themselves. With so much competition, the market will ultimately dictate which artists are popular and how much revenue they earn. When you keep in mind that these revenues are for individual songs, rather than albums, and are from just one platform, for a specific time period, it confirms that the most popular songs are still earning artists substantial revenues. Do these figures seem unfair to you? There has been tremendous growth in live music and concerts, with many indicating that this is where artists will earn the bulk of their revenue. So much so that the Record Companies have added a large chunk of it into their infamous 360 deals. According a Pollstar analysis, The concert industry grossed a record $5.1bn in North America in 2013. Historically, the goal of touring was to promote album sales, but with an explosion of music festivals in recent years, live concerts have become a large focal point for artists to earn revenue. Revenues from live concerts are split between the concert promoters such as Live Nation, Artists, and Labels. Is this a sustainable approach? Live Nation, the biggest player in the concert promotion industry, earned a whopping $4.5bn in revenue from concerts in 2013 according to their annual report. However, they operated at a loss of $39.6mm. Concerts are very expensive to produce and often operate at break even or at a loss. This is because historically, touring was used as promotion rather than as a profit source. Big name artsits, however, still get paid big bucks to perform at festivals. Jam bands and EDM DJs rely very heavily on revenues from their live shows. Phish is a prime example who have a strong cult like following from a touring philosphiy that is modeled after The Grateful Dead. Jam bands and EDM artists are very similar as they provide a different experience at every show. Phish actually turns every live show into a potential music sale by recording every show and selling the downloads. The Grateful Dead allowed anyone to record their live shows for free to share the music. They allowed free music sharing well before the days of Napster or the internet. Artists who can master the art of touring and live shows can earn significant income, but in general, touring and live shows need to be taken in conjunction with music sales and other revenues. Up and coming artists, especially, are not making the big bucks to perform live. Live music on its own, does not seem viable to restore the entire industry. So what is going to save the industry? As technology changes, history tells us that those who are resistant get left behind. Embrace new technology. Consumers no long need to buy full albums to get the songs they want. They are able to buy the songs they care about piecemeal. Is there an opportunity to save the album? When an artist creates an album, isn't that the product? Not the individual songs, but the collection of songs into one product? How can the industry entice people to purchase full albums again? Maybe there is an opportunity to revolutionize what individuals actaully get with an album purchase to be more in touch with new technology and mediums. An album has the ability to provide way more than just a collection of songs, possibly music videos, maybe some commentary, and an artistic album cover. It can be so much more interactive. In contrast, maybe the artists need to re-evaluate what the product is that they're offering. If the market is telling you that they prefer to just snag the few songs they care about, you can repurporse your product offering and music promotion strategy to fit the current model. Singles used to be used as a draw to purchase the full album, but people don't need to do that anymore. Because of the way users now consume music, it's necessary for artists to provide and promote music in platforms such as Spotify, Pandora, etc., but don't confuse streaming radio with on-demand music. Streaming radio is just the new way that people listen to the radio. It is really the platform that is best used for promotion of your music rather than actual sales. Now as users are asked to subscribe to these services, a portion of that revenue should absolutely go back to the artists. Is the price right though? How many albums did users used to purchase per year? Is it more or less than paying $10 per month for Spotify or Rdio? What about $5 per month for Pandora where you can't play music on demand? Is it possible that charging less for subscriptions will actually get more people to sign up, which will provide more total revenue from consumers, and ultimately more revenue to give out to artists? We compare this to the millions of app developers. App developers may spend a year developing an app that they believe is an amazing product that everyone will use. They upload it to the app store for people to download for free. Now just because they created something they believe is great and put it out there, it doesn't mean the consumers necessarily want to use it. How much should they earn from a few thousand downloads realistically? However, if the app is a success and people love it, then potentially millions of people will catch on and the app developers can now use the app that they gave away for free to earn revenue! This is a perfect comparison to musicians. Should you give your music away for free? We just saw the first of its kind with Apple's iTunes getting exclusive releases from Beyonce and U2 to promote their music. Windowed releases can be compared to how movies are released and is a unique music promotion strategy. First, movies are exclusively offered in theaters for a premium price, then they move to DVD, then to On Demand, then to Streaming Services, then premium channels such as HBO and Starz, and finally are available for free with commercials on cable and TV. Will it make sense for bigger artists who already have high demand to release albums exclusively on certain services such as iTunes and Spotify before releasing them elsewhere? What if a major artist only released an album to paying users of a streaming service? This goes along with a freemium model, but a change in the perception of paying for music can get consumers to pay way more than what they currently do. Why do you people readily give money away to Kickstarter campaigns? People are apt to give money away for causes they want to support, whether it's Kickstarter or charity. But when they are purchasing something, all of a sudden they start to analyze the value they get in return and whether the purchase is necessary. With the emotional connection that people have to music and artists, does it make sense to give them your music for free and ask them to help support you? On Kickstarter, someone is promised that they will receive one unit of a product for donating $X to help support the project. Is this any different than selling one unit of a product for $X? Maybe taking the approach of a street performer with an open guitar case to a grand scale will earn you more revenue if you create great music! These are interesting opportunities to earn revenue from brands, but this route may have the association of being a "sell out" as artists would be forced to partner with brands. Where else can the industry earn revenue for artists? There is a growing trend for brands to get more involved in music. In addition to traditional sponsorships, we see brands that actaully invest in artists careers themselves and take a real interest in the growth of an artist. Whether it's Red Bull Records, Hardrock Records, Pepsi, Coca Cola, brands are all seeing the value in having more focused promotion on music. The brands have the money to spend. They are also investing in up and coming artists as it is more cost effective to get a lower level artist and then help them to grow. Packaging music with other products. Is there an opportunity to package a music download or album with another product that is in line with the artist? It would help to promote the product and to provide revenue to the artist for each unit sold. Artists need to look at themselves as more than just music makers. They become their own bussinesses and can expand into additional areas to add revenue streams. Jay-Z is a prime example of an artist who opened his own record label, started a clothing company, started a sports agency, owns clubs, and has truly become an entrepreneur. When you are a growing artist, you are building a brand. You can use that brand to build other revenue streams. As referenced above, Jam bands and EDM artists have mastered earning big revenue from live shows. Taking a lesson from historically using live shows to promote your music, you can take it to new levels with the progress of technology. Allow fans to record, whether professionally or on video, and upload your music as much as possible. The more your music spreads, the more fans you will have! You can also record your live shows and sell downloads of every show you perform. It might be difficult to get consumers to pay what they were paying when the music industry was at its peak, but can the industry get consumers to at least pay more than what they currently pay? Here are some great case studies from a report by Floor 64 called "The Sky Is Rising" published on Techdirt. Are you struggling with getting your music heard? Try Feature.fm to get your music played on streaming services!